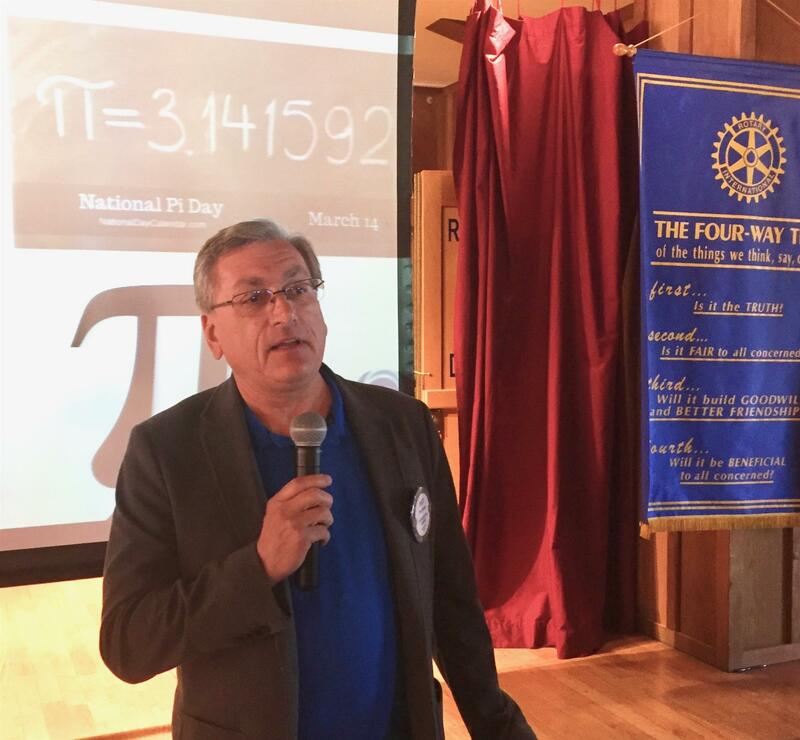 Kurt Vonnegut wrote in “Breakfast of Champions”: “We had tortured circles until they coughed up this symbol of their secret lives: π.” This year Thursday fell on March 14, 3/14, giving Rotarian of the Day Matt Kurth, the opportunity to share some fun facts about π. Besides expressing the ratio of circumference to diameter of circles, π is an infinitely long, irrational number- we can express π to more than 20 trillion digits. Despite being irrational, Matt explained that π is thought to be “normal” meaning that the digits 0-9 appear with equal frequency and that you can find any number sequence (e.g., your birthday, social security number) with the π sequence. Click here to find where your favorite number sequence falls.